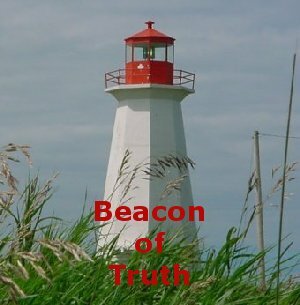 Why Do Environmentalists Support the Destruction and Pollution Caused by Wind Energy? *Update* Since the posting of this article, I have since posted a short movie trailer video called “Windfall” about the facts behind wind energy. What I don’t understand are the contradictions and hypocrisy surrounding wind energy. Most people who support wind energy also support ideals like clean water, clear air, the environment in general, land preservation, keeping landscapes “natural”, reduction of noise pollution, non destruction of our ecosystems. And yet, they support wind turbine energy. Why? 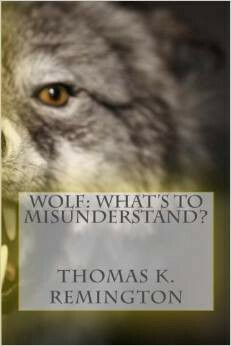 Often environmental preservationists consider hunters and trappers as the enemy, although these two groups have done more to conserve our environment than perhaps all environmental groups who have come after them. 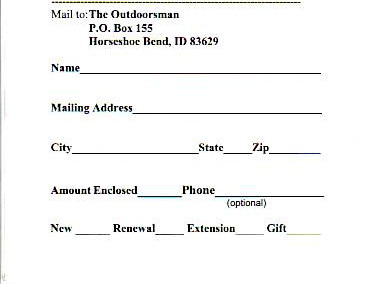 Often environmentalists paint hunters and trappers as consumers of natural resources and yet many, many, many of those fighting against the environmental destruction, including physically, visually and audibly, of wind energy are the hunters, trappers and outdoor sportspeople. So which groups are the radicals? Here is another example of what is being foisted onto Maine people. 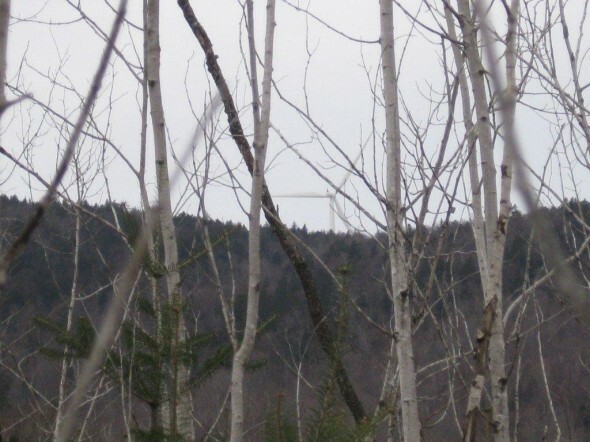 A few days ago, I reported on wind turbines that were constructed on the Record Hill area of Roxbury, Maine. This is a follow-up post to that report. I received more photos with short commentary from Albert Ladd who lives a short distance from the Roxbury wind towers. He provided readers with pictures for the previous post. Mr. Ladd is a hunter and trapper in the region. Below is a short report he filed with me and provided 4 photographs to go along with his commentary. “Today I went in on the Bunker Pond road to set up a beaver colony [trapping]. Now I’m roughly a half mile from the towers. Cold quiet and no wind down where I was. The sound [from the turbines] is more of a rumble and somewhat sounds like a truck coming and coming, but never gets any closer. I stopped at Bunker like one commenter told of doing [previous article]. There are no camps on Bunker, and it’s a good thing as the noise is quite loud and I bet constant most of the time. 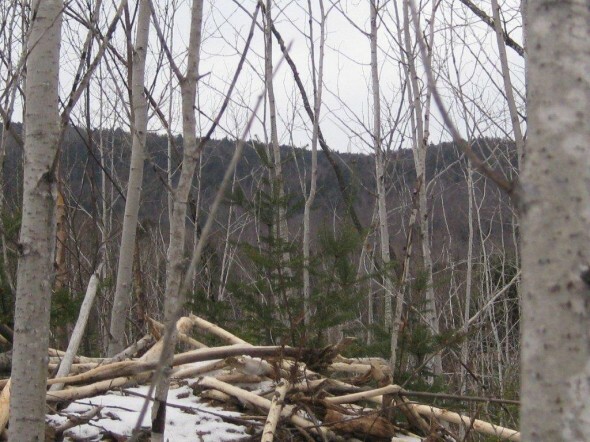 The pictures show the towers and one shows the top of the beaver house [photo 1] with a tower or two seen through the trees [photo 2 & 3]. 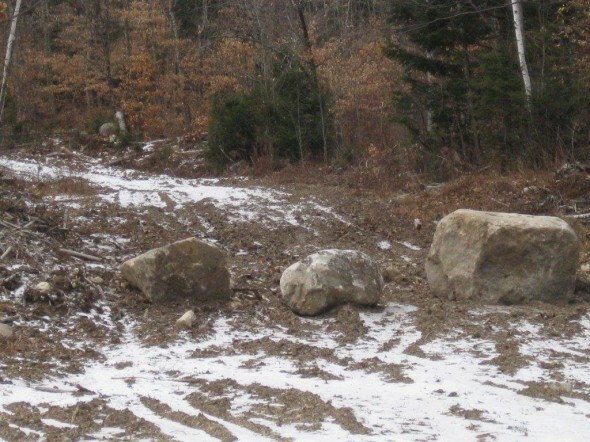 The rocks are on one of 3 roads that go close to the towers on the way into Bunker [photo 4]. All 3 have been blocked off like this, and I do believe one had a bridge pulled. I’ve listened to several people through the years that said they’ve drove right up to these towers and heard no sound at all. –RIGHHHHT! Say what you will about the pros and cons of this foolishness we call wind energy. I’ve heard and read people argue relentlessly about whether it is cost effective, etc. but the damned things are an eyesore and a destruction of the environment. What kind of a moron would believe that in order to save the environment we must destroy more than the end result will realize us? Forget that question. I already know the answer. I deal with these people on a daily basis. Consider rural Maine and the intrusion into the pursuit of life and liberty that comes from forcing wind turbines onto the landscape. The following photos and information was provided to me by Albert Ladd who lives in the area where these wind turbines have been erected. 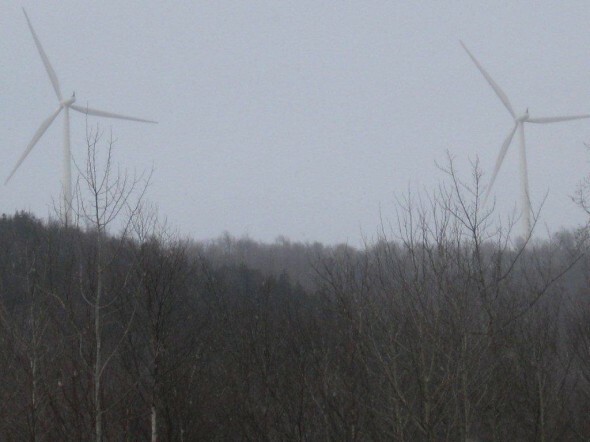 In the Roxbury/Byron area, 22 wind turbines have been installed on Record Hill. Record Hill sits east of Ellis Pond and Southeast of Little Ellis or Garland Pond. Garland Pond has approximately 70+ summer camps that sit mostly on the northern end of the pond. Now many of those camp owners will be able to see some or all of the 22 turbines on Record Hill. The first photograph below shows Ellis Pond and Little Ellis Pond. The Red line to the east of Ellis Pond is the line of 22 wind turbines. If you look closely, on the northern end of Little Ellis Pond, you’ll see a red splotch or an arrow-looking mark. This is the location the photographer, Ladd, was standing when he took the second photograph below. 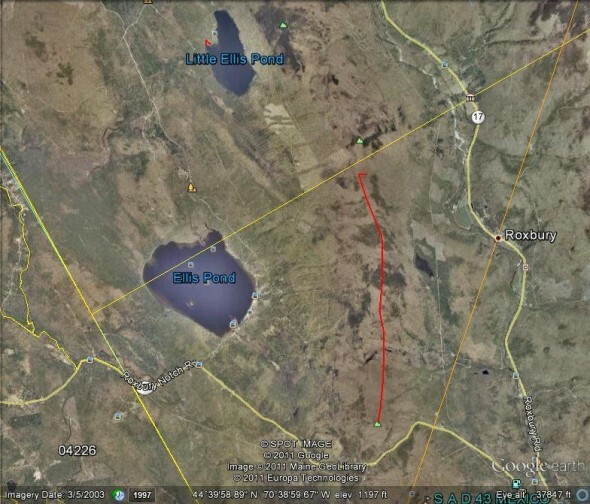 Notice also on the Google map, a straight yellow line that runs near the north end of Record Hill and also intersects the northern part of Ellis Pond. That line is the town line of Roxbury, Maine and Byron, Maine. The Town of Byron voted out any wind turbines, Roxbury did not. 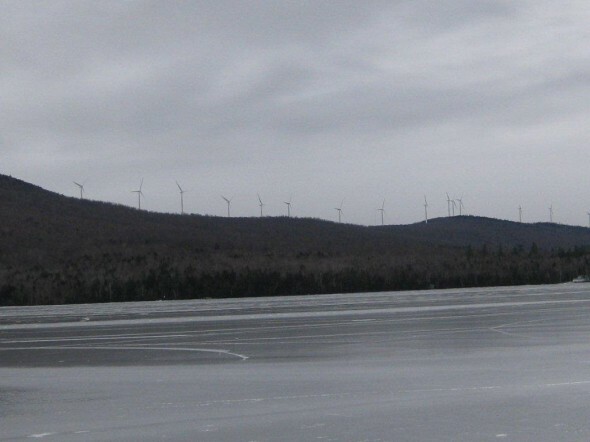 In addition, the camp owners of Little Ellis Pond voted against wind turbines and now see what they have to stare at when they are at their camps.